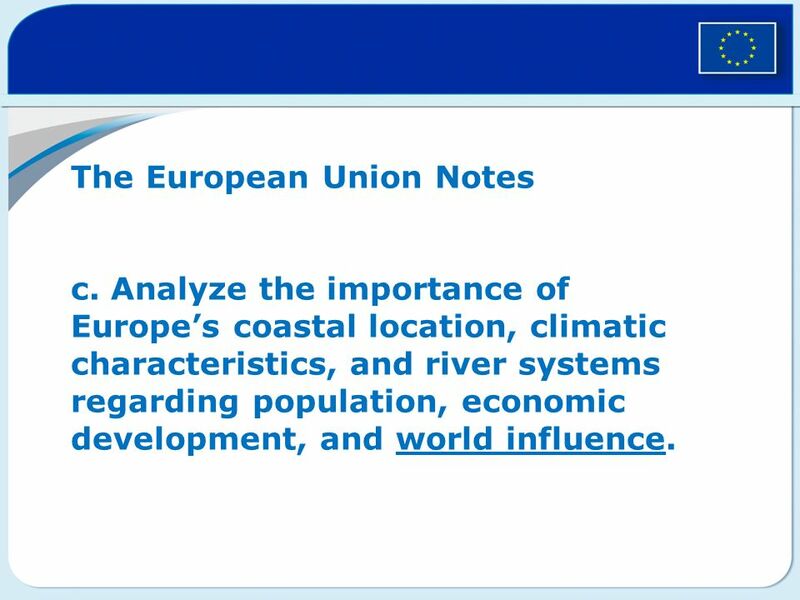 The European Union Notes c. Analyze the importance of Europe’s coastal location, climatic characteristics, and river systems regarding population, economic development, and world influence. 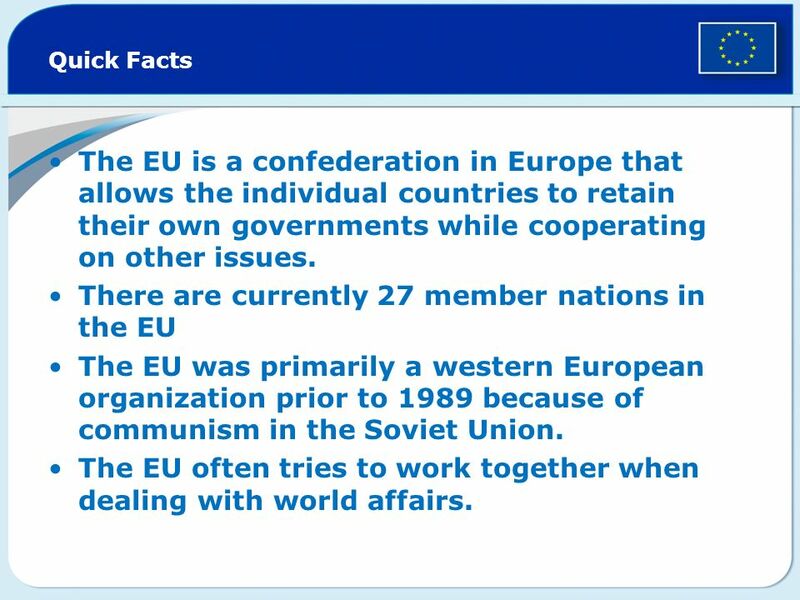 Quick Facts The EU is a confederation in Europe that allows the individual countries to retain their own governments while cooperating on other issues. 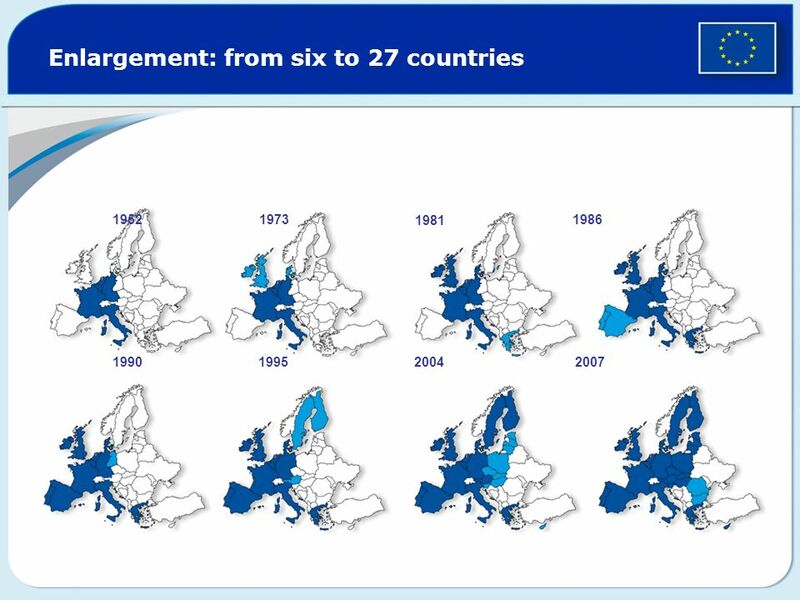 There are currently 27 member nations in the EU The EU was primarily a western European organization prior to 1989 because of communism in the Soviet Union. 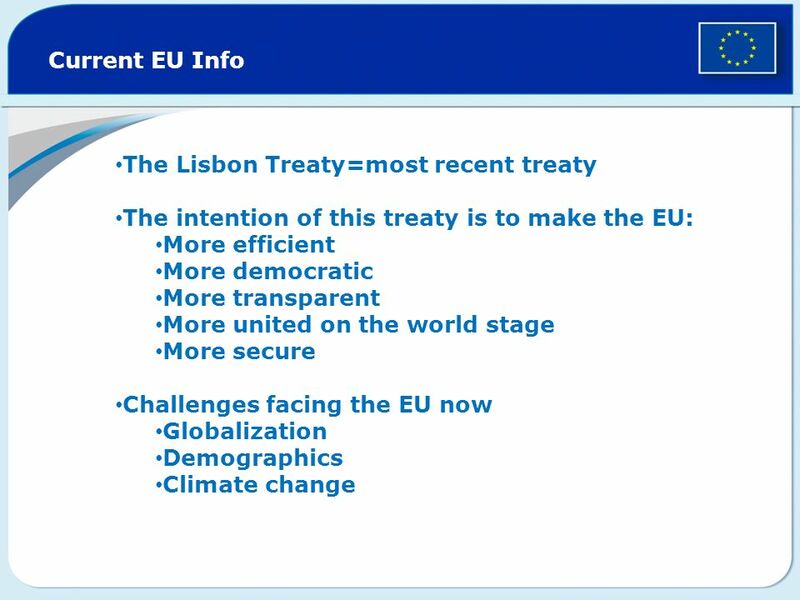 The EU often tries to work together when dealing with world affairs. 3 How many member nations are currently in the EU? 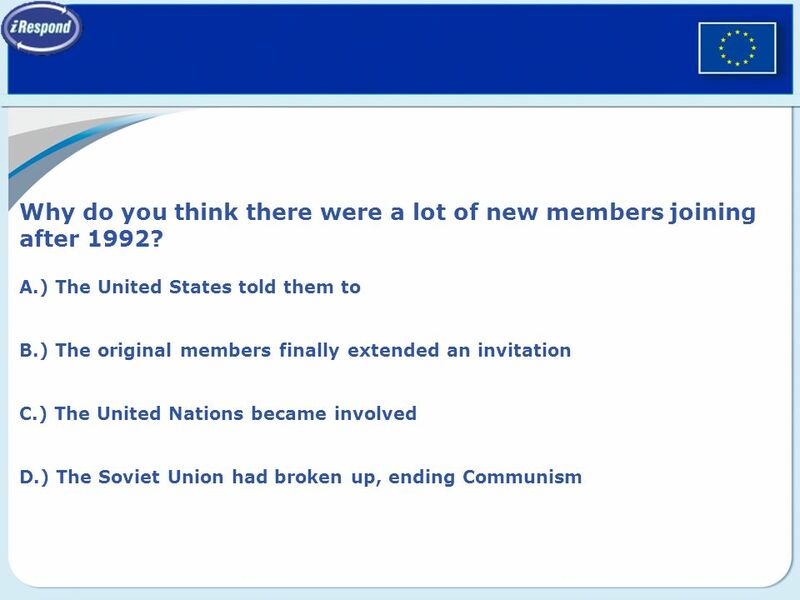 7 Why do you think there were a lot of new members joining after 1992? 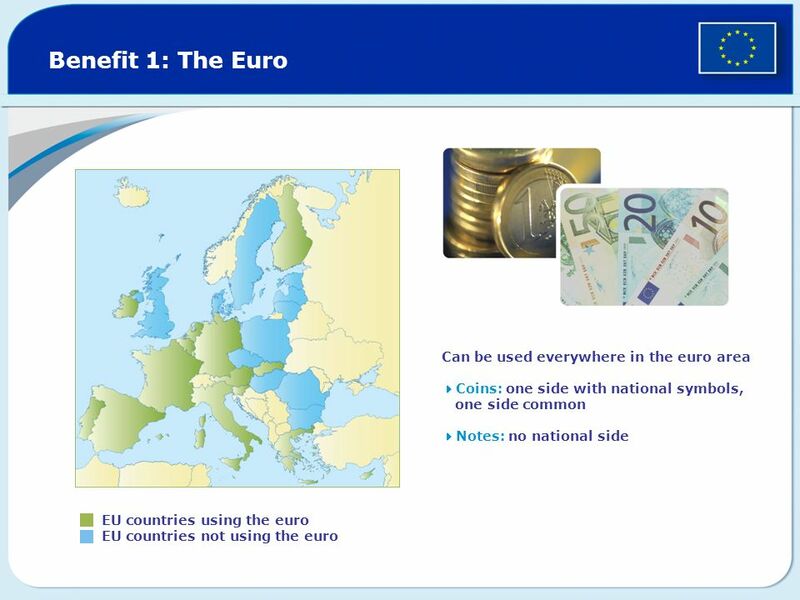 Download ppt "The European Union Notes c"
Lesson Intentions In your organisers write; “An introduction to the European Union.” In your jotter write; “The European Union” 26 th September 2011. 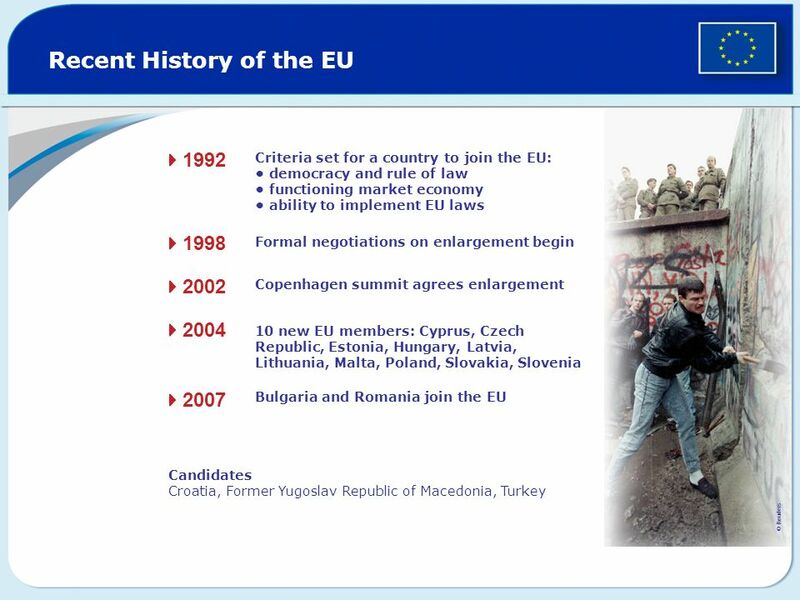 THE EUROPEAN UNION How did Europe transition from a period of conflict to a period of sustained peace? 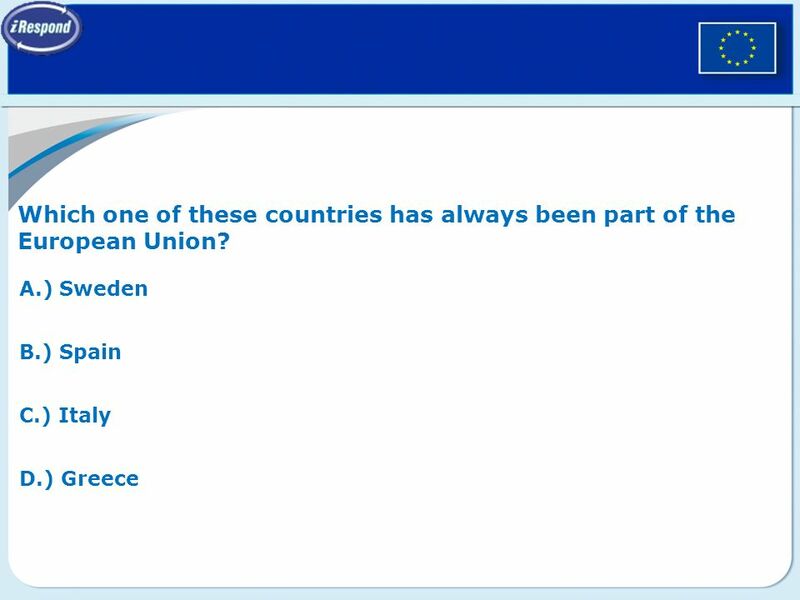 The European Union: 500 million people – 27 countries Member states of the European Union Candidate countries. The European Union: 493 million people – 27 countries Member states of the European Union Candidate countries. Expanding the European Union. The E.U. Today 15 members Population: 377 million (2000) (Expansion will add an additional 170 million people) GDP: $8.1. Health Care Has Universal Health Care This means that the government provides the health insurance, not individual insurance companies- The cost of paperwork. EUROPEAN UNION. 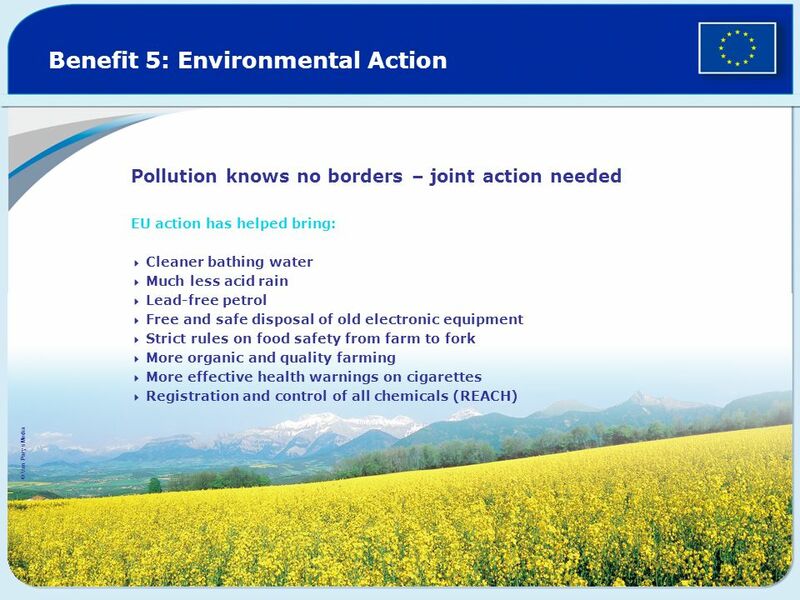 Basic info: The European Union is a political-economic union of 28 member states. 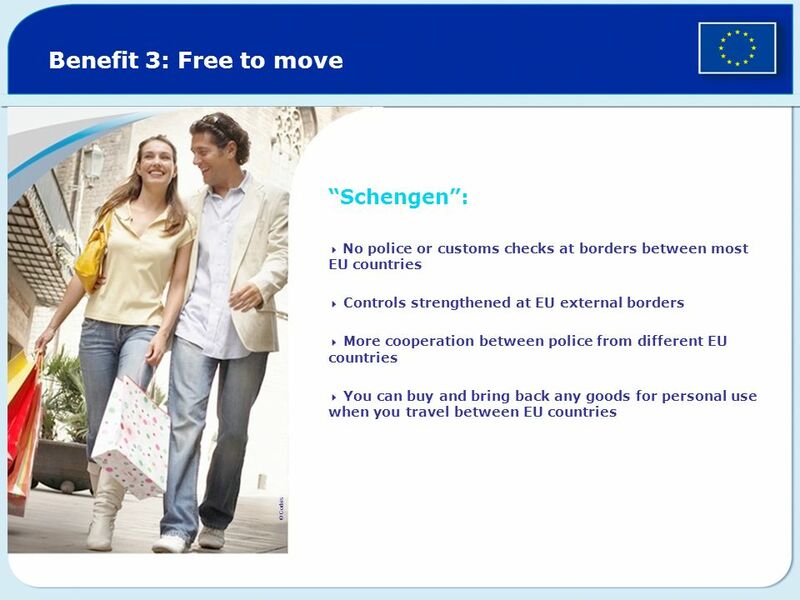 Motto: “United in diversity” European flag: 12 stars. Standard SS6G5b: Describe the purpose of the European Union and the relationship between member nations.